Many of my friends have asked me who always takes my pictures when I travel. “But how?” they amusingly ask. My travel arsenal consists of a selfie tripod with a Bluetooth clicker, a couple of power banks, phone cords, a bottle of water, a first aid kit, and of course my smartphone. With them, I can do my trips smoothly and take snapshots of vistas and landmarks. So for my friends, they find it weird that my candid shots are always on point. Other friends simply can’t believe I can take those shots myself, and accuse me of traveling with someone else. But no, I travel with something: the selfie tripod. But before the selfie tripod became my much-prized possession, I thought it was a quirk of self-absorbed and narcissistic travelers. I remember when I first visited the Summer Palace, I saw a couple who were taking pictures of themselves in the middle of a busy bridge using a small tripod. Other people were amused; I thought it’s genius… not them blocking the road but their way of taking pictures. So I took a photo of their tripod and on the following day, I Taobao’ed that thing and boom, I got mine in two days. The first leg of my trip to Europe was in Madrid because I felt the urge to “find” my mestizo roots. Beyond that, I want to learn more about Spanish history so I went to the touristy Royal Palace of Madrid. Having been accustomed to local tourists in China (well, you know how they behave, right? ), I set up my selfie tripod and took some nice shots of the palace. (A pro tip: using a selfie stick can extend your reach and stabilize the phone). But I got some awkward looks from a lot of tourists. I didn’t care that much, though. 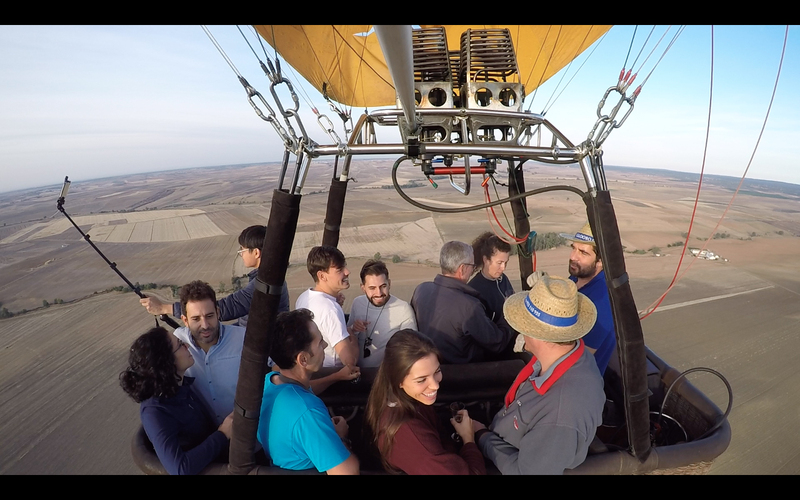 Several days after, I went to Seville to catch my first ever hot air balloon ride. 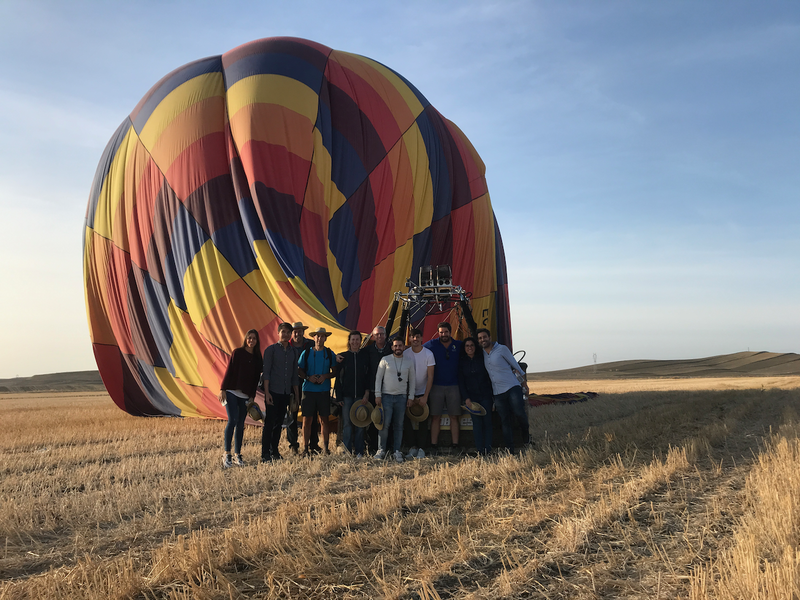 At the rendezvous, I met our balloon pilot and my co-passengers: three couples and a family of three, all of whom were asking why I was alone on my trip. While we were inflating the balloon, I told some of my co-passengers that my friends who were supposed to join me canceled at the last minute. One of the tourists, a Portuguese lady named Ilda, gladly offered to take my photos. With the biggest grin ever, I brandished my selfie tripod. “Wow, where did you buy that?” Diego, her Spanish partner, asked. “Here, I use a Bluetooth clicker!” I replied. If you were there, you would have seen me looking so giddy like a boy who got a packet of sweets. Later on, I took videos of us from a vantage point outside of the balloon. Ha! I was shaking during that time! Ilda noticed that I was silent all throughout the flight. Well, I was busy looking at – not my phone – the details of the landscape from 300 feet above… though the wide sunflower and olive fields below were barren because it was past the harvest season. For some reason, her comment struck me. I remember the time when selfie sticks overtook Manila millennials and I thought it was funny. When I saw the couple at the Summer Palace, I thought selfie sticks would make taking pictures easier. So her comment offered me the opposite view from my smartphone screen. Of course, it wasn’t the first time that I heard people saying that about selfie sticks. Many museums, sacred sites, and other historical areas around the world have banned the use of these rods, for a number of reasons: they disrupt views, double as a blunt weapon, or simply are considered a nuisance. 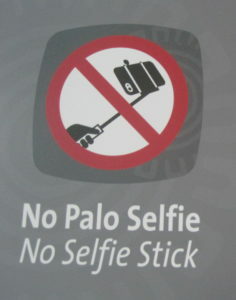 A lot of times I was warned by security guards not to use my selfie stick when entering tourist sites; upon entering I saw others using it. Yes, she’s got a point. Almost every time I travel, I see couples wielding a selfie stick. And it’s as if they own the place, especially when they pose to get the perfect angle. Who needs help from others if you’ve got a stick to help you take a quick snapshot of everything, right? What was my response to Ilda, you might ask? I remember telling her that I use the rod to extend my reach and minimize shaking when taking pictures. And I said there are times that I am shy posing in front of others. She laughed and seemingly accepted my explanation. In my trips around Beijing and nearby provinces, my selfie tripod is usually the center of attraction. Okay, not the tripod per se but my fake poses as if I’m walking or looking at something. I often leave the tripod standing around two meters away from me, so people are always amazed. 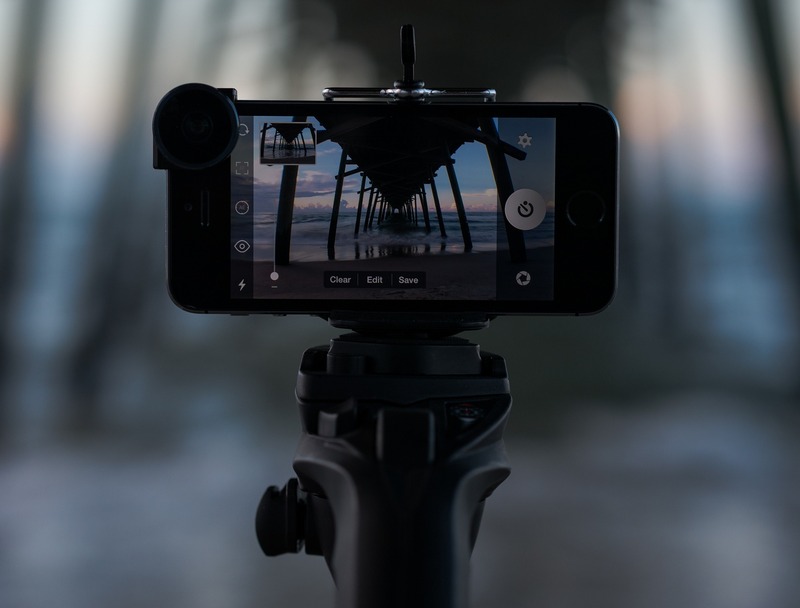 Once I finish, I act like nothing has happened… then people start reaching out to me, asking where I bought the tripod. Some ask me for the Taobao link; others are interested to see the pictures I’ve taken using the rod. Then instead of going away, many of them walk with me during the rest of my trips. Then we exchange travel stories. In fact, I’ve made many WeChat connections… simply because of my introverted selfie tripod. Then came the time when we descended and finally deflated the hot-air balloon. It was the golden hour at 8am, and the sun was shining perfectly over the dry sunflower field. Our pilot released the camera from the balloon and started to take pictures of the whole crew. “But how?” one of the Portuguese asked me. …took that photo … and made more friends in Spain! Makes everything easier, right? Hehe. Have you made some friends too? Thanks for your wonderful comment. Cheers to 2018!